SEO leadin . . . 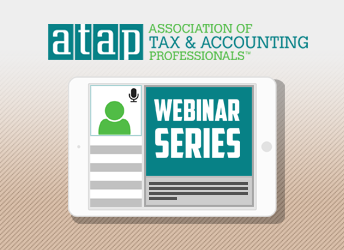 Through our strategic educational alliance with Knowledge Bureau, we are happy to introduce the ATAP Webinar Series, designed to provide you the most up-to-date Continuing Educational and Professional Development opportunities available. Webinar topics focus on both Continuing Education and Professional Development and dig deeper into topics and technical issues of our business than is feasible in a seminar setting. By utilizing a Webinar framework, Members and their staff will be able to take an hour from their day to receive training without taking time away from the office. Knowledge Bureau is thrilled to provide ATAP members with valuable continuing education opportunities at exclusive partner pricing. Earn your executive designation or a diploma to demonstrate your mastery in your field.